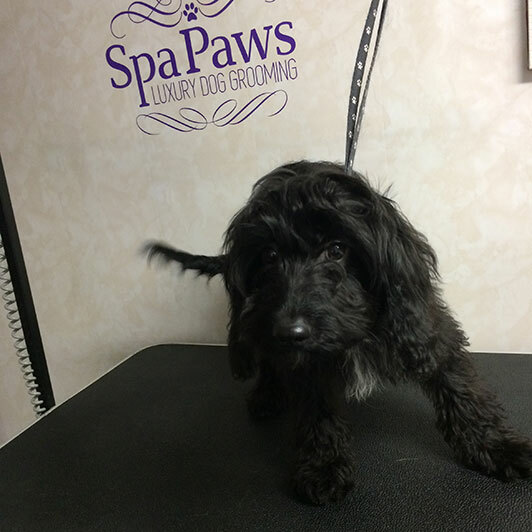 Brought my cockerpoo in for a “puppy pamper” and was very impressed with the whole experience. 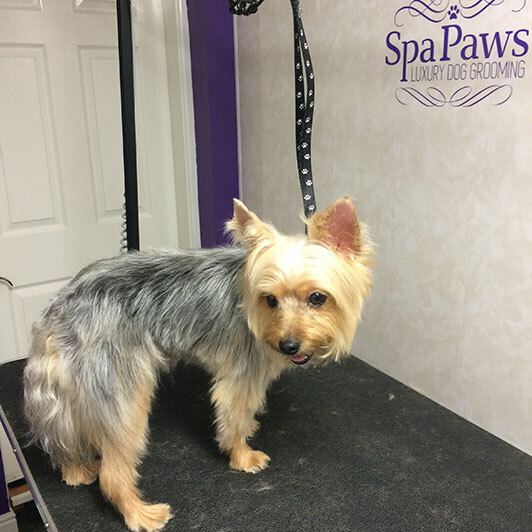 Sarah was very friendly and professional and made what could have been a distressing first groom quite fun! My pup Darwin was wagging his tail when I left him and sound asleep when I picked him up! 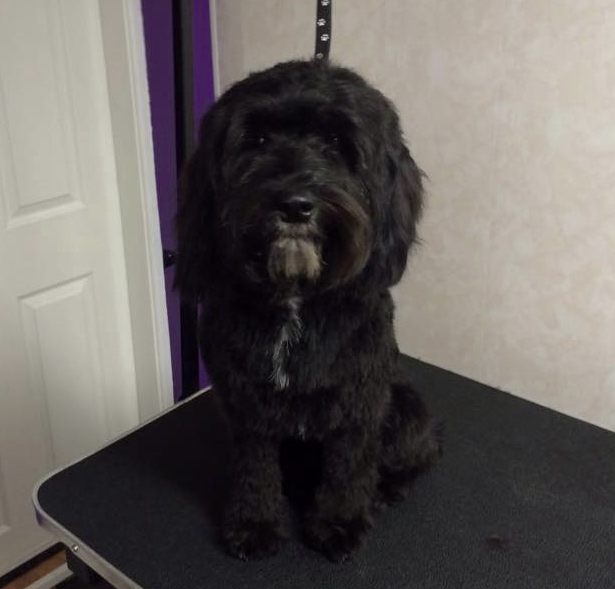 Sarah did a fantastic job and was extremely possible and gentle with him! 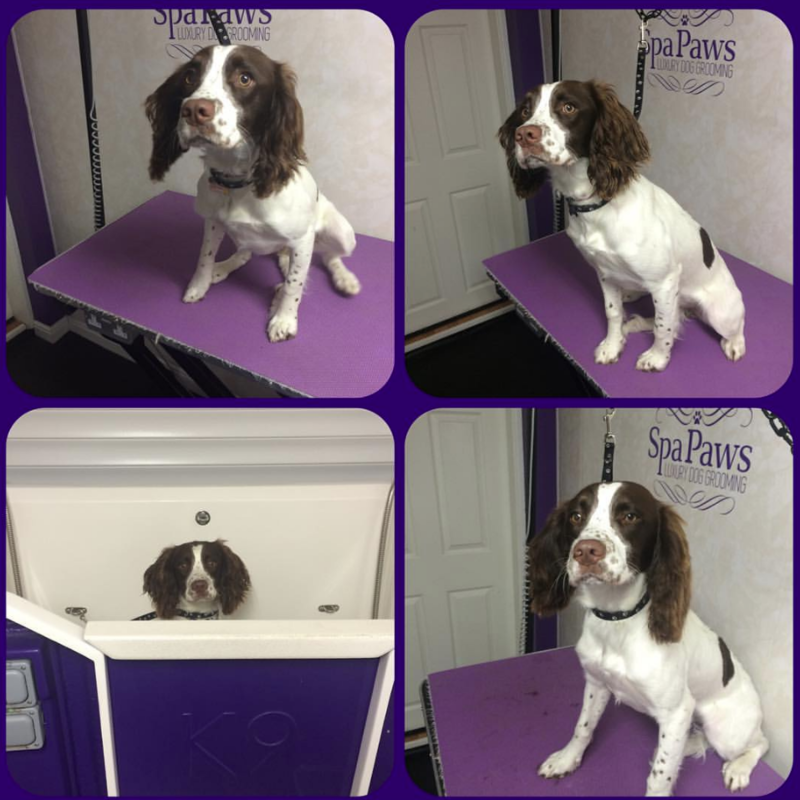 He seemed completely at ease with the whole experience and he looks and smells great! 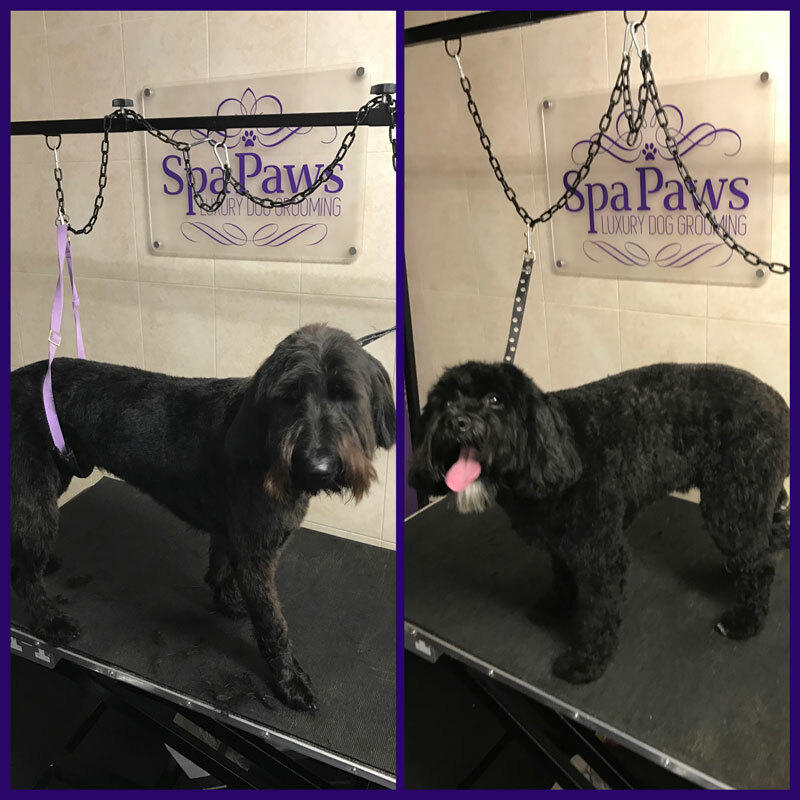 I will certainly continue to use Spa Paws and can highly recommend them! A very lovely and calming experience for my nervous 3 legged rescue girl. 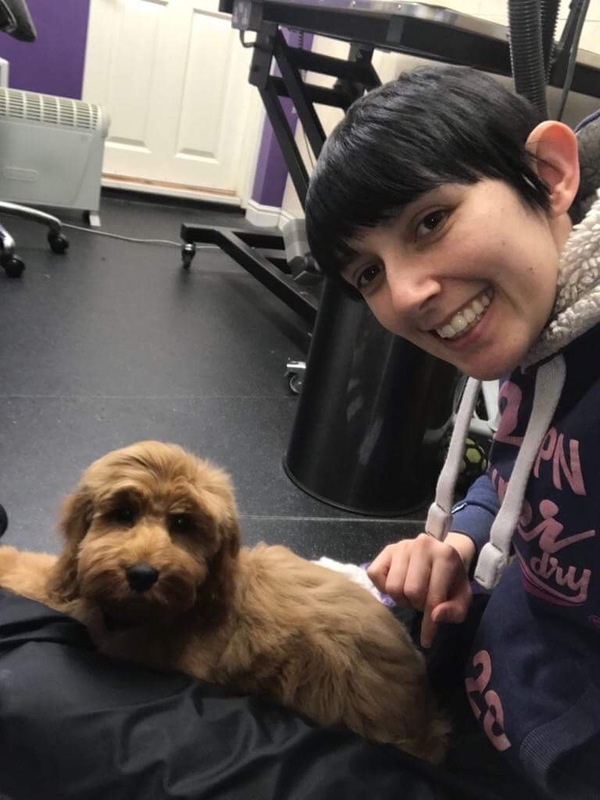 Sarah took her time with Beau and helped to put her and myself at ease and transform her back from an Orang-utan to a cocker spaniel. Just lovely. Jim is looking soooooo dapper and is super cool in his new haircut...thanks again...he's perfect! 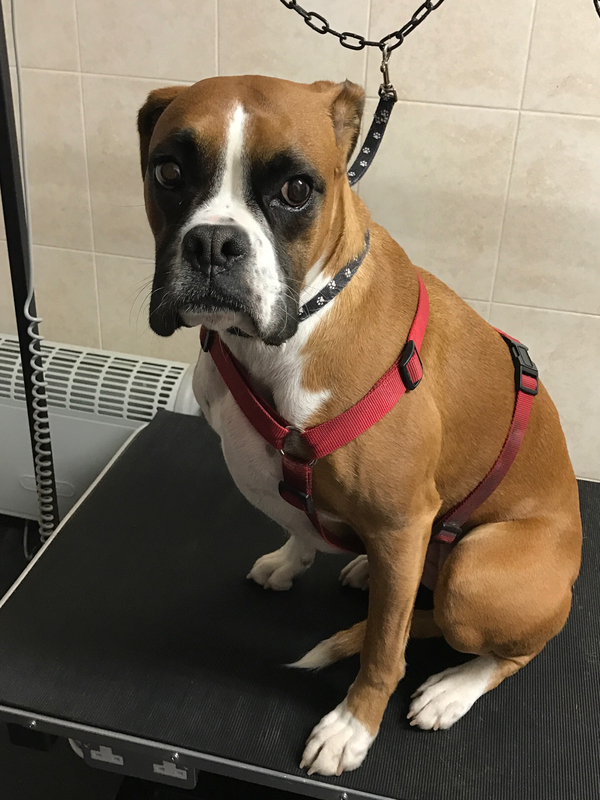 Thank you so much for giving our beloved boxer dog Roxy her first bath and blow dry. She looks and smell's beautiful, but most of all thank you for how you treated her. 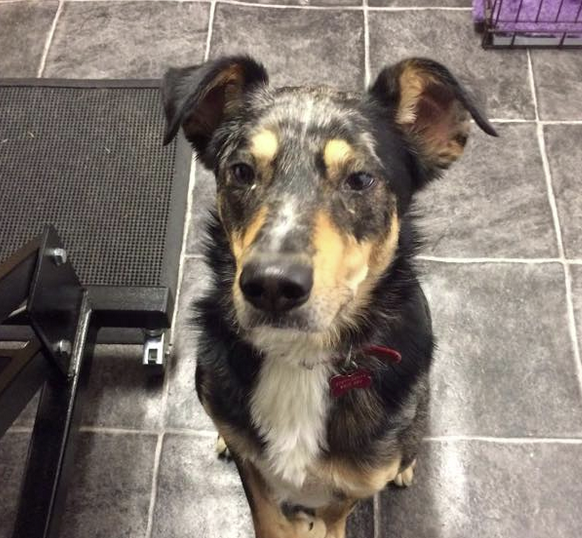 She had such a rough start in life and is only just starting to trust people. You put her at her ease and didn't rush her and we are so grateful to you. 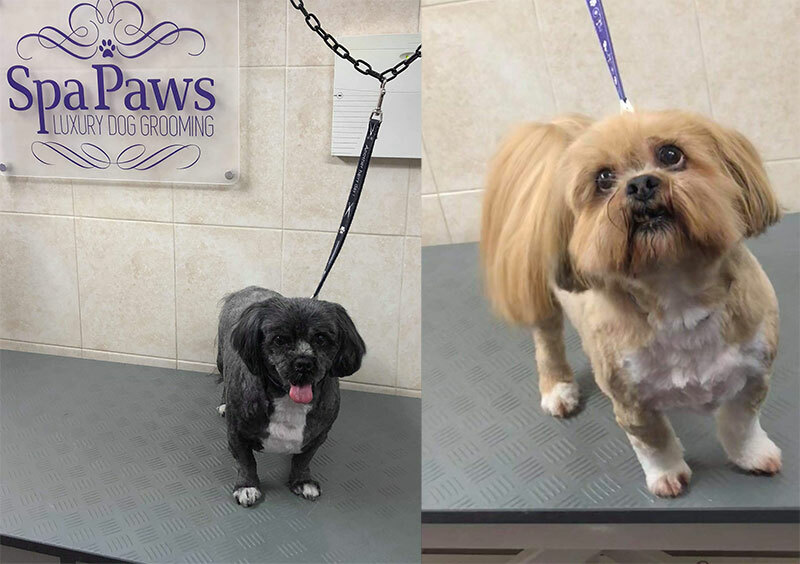 You are now officially Roxy's number one dog groomer! With our very best wishes and many thanks Gina and Paul. 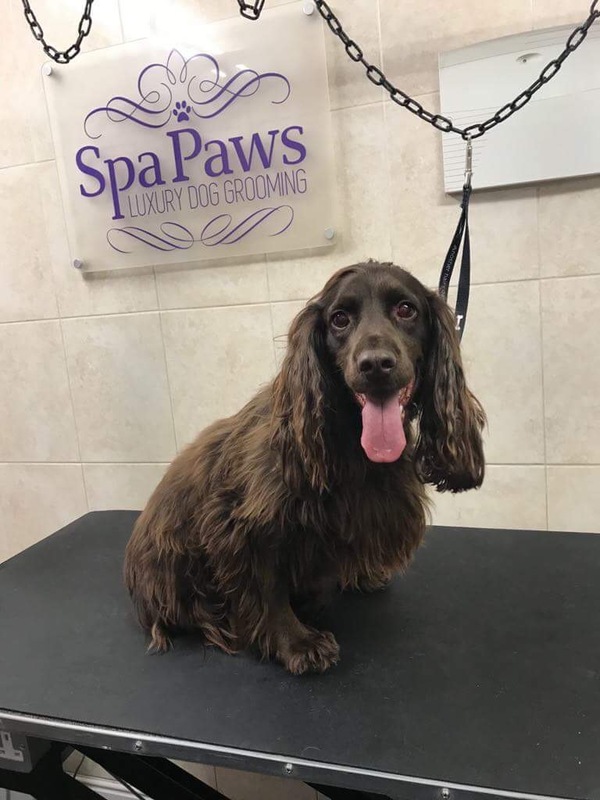 15 month old Holly has just recently had her 5th puppy spa with SpaPaws. Holly absolutely loves the bath and being groomed by Sarah. 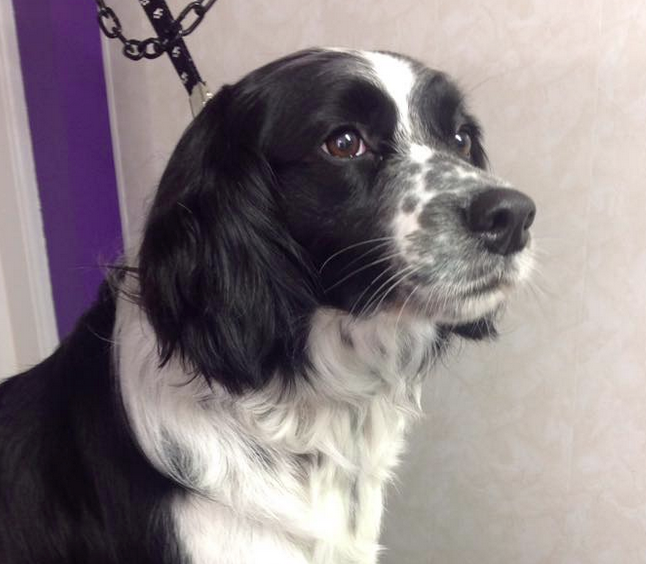 Sarah really does do a thorough job and always ensures that Holly is perfectly groomed and smells lovely. Oh my goodness , Theo my long haired chihuahua came out looking so different after his cut today! 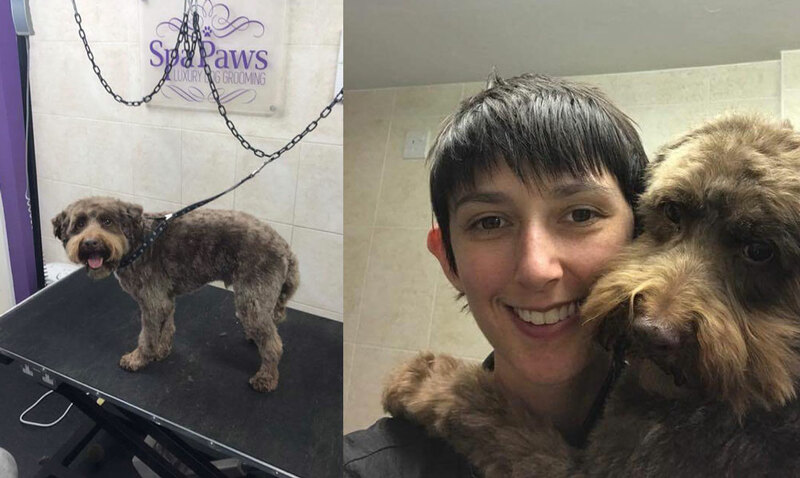 Thank you Sarah so much for looking after my nervous little bundle and giving him the best cut he's ever had! Won't be taking him anywhere else now! 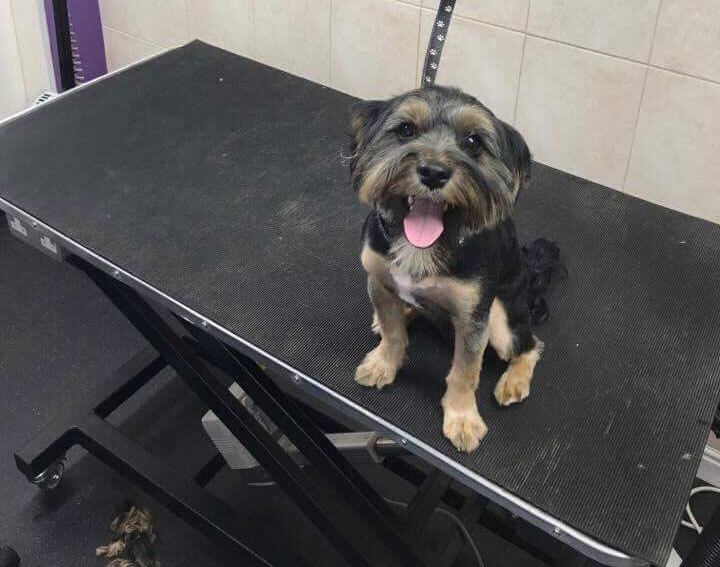 Just a quick email to say how delighted we are with Bonnie's groom today; as you know, we were a bit nervous about it all as it was our (and her!) first time but you have done a fantastic job! You listened to exactly what we wanted and she now looks like a much cleaner, neater version of herself-plus she smells great! We will definitely be back. Absolutely brilliant. 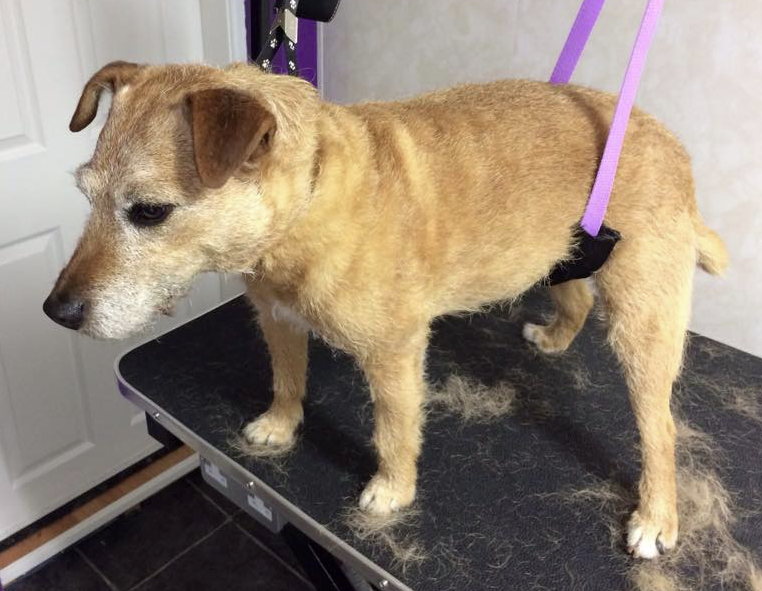 I never thought our beloved mutt could look - and smell - as good as he did having experienced the SpaPaws treatment! Patch is a great little dog but he does roll around in mud, grass and anything else that seems interesting so a "doggy valet" was in order! Thoroughly recommend SpaPaws - Sarah was brilliant!